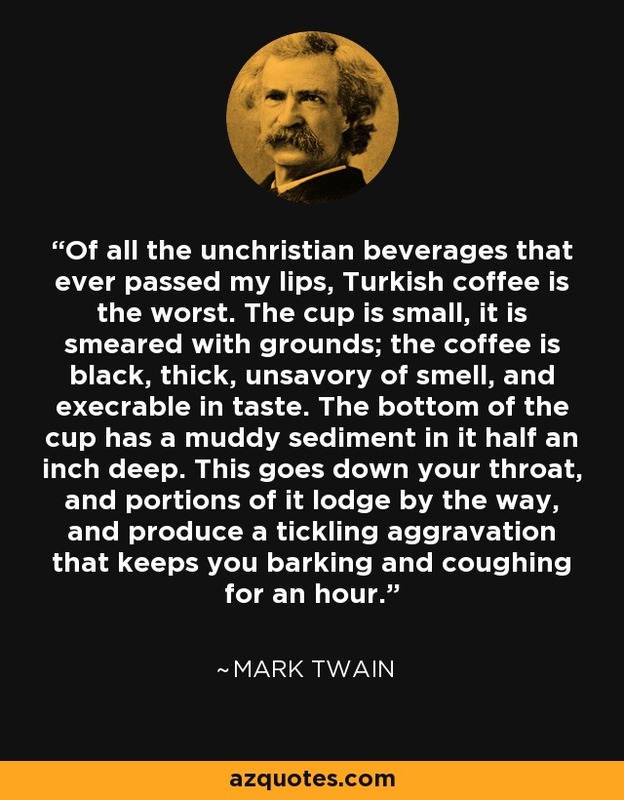 Of all the unchristian beverages that ever passed my lips, Turkish coffee is the worst. The cup is small, it is smeared with grounds; the coffee is black, thick, unsavory of smell, and execrable in taste. The bottom of the cup has a muddy sediment in it half an inch deep. This goes down your throat, and portions of it lodge by the way, and produce a tickling aggravation that keeps you barking and coughing for an hour.